If you’re starting a hunting club, you’re likely looking for some hunting land for lease. 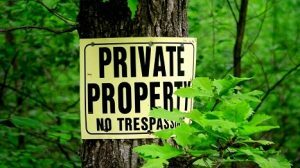 Hunt clubs typically lease a parcel of land from a private land owner and sell memberships to hunters. The membership fees go toward the years lease payments and give the hunters the right to access the land for hunting, and sometimes for other activities. Leasing hunting land is the most convenient way for hunters to create a club, unless a founding member already owns land outright that he can lease to the club. One of the best ways to find hunting land for rent is to start by simply scoping out the location of land you’d like to use for hunting. The owner may not be planning to offer his land for lease, in fact, he may never have heard of hunt clubs or the practice of leasing for such a purpose. So, once you’ve located land you’d like to use, simply approach the owner with a plan for your hunt club and the land lease. Once he understands your plan, he may be quite happy to lease the land to you, though he had no such plan originally. For most land owners, using their hunting property for lease to a hunt club is a great way to make easy income on land that has been sitting unused. Before you agree on hunting land for lease with the owner, be certain that you know how much you can afford to pay for the lease. Its wise to find your minimum number of hunting club members before locating the land. Sit down with the members and agree on a yearly membership fee that each member is willing to commit to for at least one year. By multiplying this amount by the number of members, you know how much you can pay a landowner for the years lease. If the amount you can pay isn’t enough to lease a good piece of property for a year, then you need more members or you need to agree on a higher membership fee from each participant before you secure some hunting land. Once you know what you can pay, you can approach a landowner with a proposal that includes the lease payment he’ll receive from your club. Most clubs charge each member their yearly fee on January 1, but may pay the owner monthly. If new members join the club later in the year, after the amount needed to pay the landowner for the year has been collected, their fees are used to fund any repairs or maintenance that the club may have to take care of on the property, as described in the lease agreement.